The Rock Band creators have teamed up with new crowdfunding platform Fig. Last month we brought you the story of Fig, a new crowdfunding platform with an exclusive focus on video game crowdfunding that will also offer the potential for equity investments. Fig was launched in August by Former COO at Double Fine Justin Bailey. Bailey teamed up with former Double Fine colleague Tim Schafer, inXile's Brian Fargo, and Obsidian's Feargus Urquhart, all of whom have pledged to launch new video game campaigns on Fig. In a press release today, Rock Band developer Harmonix announced a partnership with Fig, as well as an upcoming unannounced title that will be funded through the crowdfunding platform. "Harmonix has successfully gone the traditional crowdfunding route before, and now we are looking to explore offering both rewards as well as investment opportunities to the community when we launch our next title via Fig in Q4 of 2015. 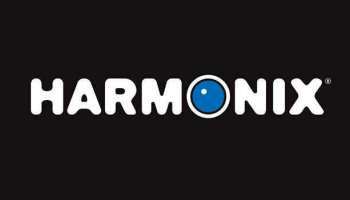 I'm looking forward to sharing more information with everyone very soon," said Harmonix CCO Alex Rigopulos. Harmonix also announced that Rigopulos will join Bailey, Schafer, Fargo, and Urquhart as a member of Fig's advisory board. Investment crowdfunding opportunities on Fig are currently limited to accredited investors only, although the company has shared plans to open investment opportunities to everyone "in the near future." In addition, Fig only hosts two different campaigns at any given time. The press release contained two disclosures, which can be read below. 1. Fig's investment crowdfunding model provides an opportunity for eligible investors to participate in the potential success of a particular game title by investing in a production company created exclusively for that title. Fig's production company holds exclusive distribution rights to the title, while the developer retains the title's IP rights. 2. Rewards campaigns are available to all, but investments are only available to accredited investors who understand and can afford the risks of investing in private securities.